Enough said. Right? It’s now pretty clear why I referred to it as the best Mother’s Day/Christmas/Birthday present ever. I suppose I could give some details. 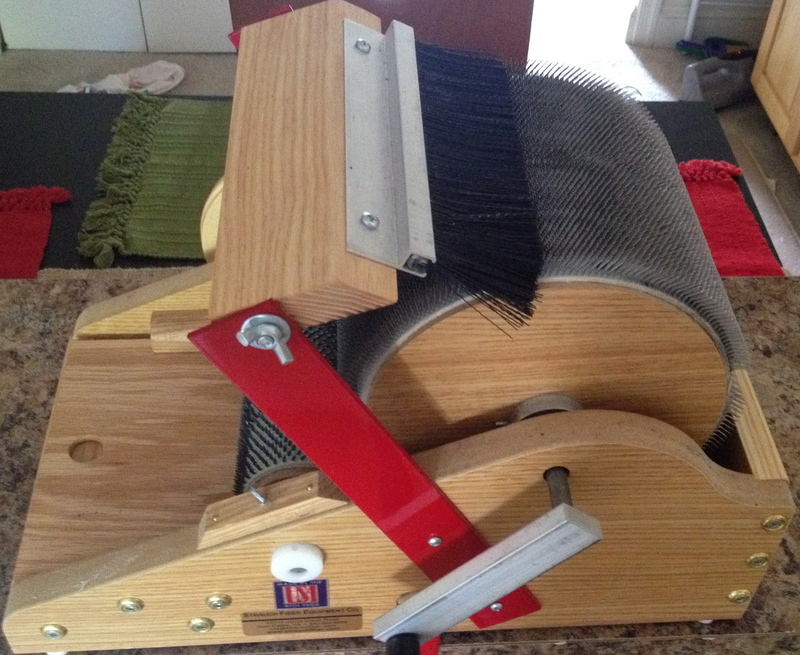 It is the Strauch Petite drum carder and we were able to leave Maryland Sheep and Wool with one in hand from the Stony Mountain Fibers booth. 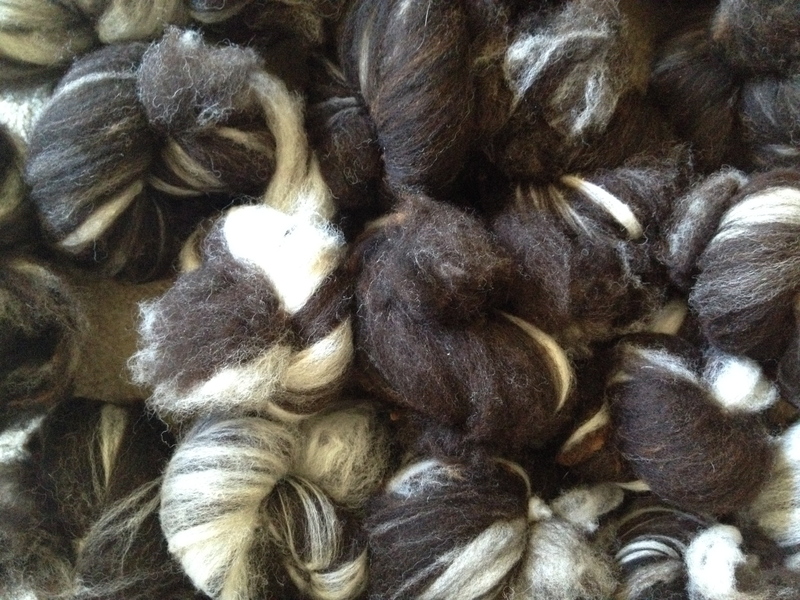 Though I had to wait several hours before I could open it up and try it out – as soon as I could, I made a few small batts out of some washed, but unprocessed, Rambouillet I had picked up at a Uniquities Fiber Farmer’s Market. It was amazing and I am hooked. 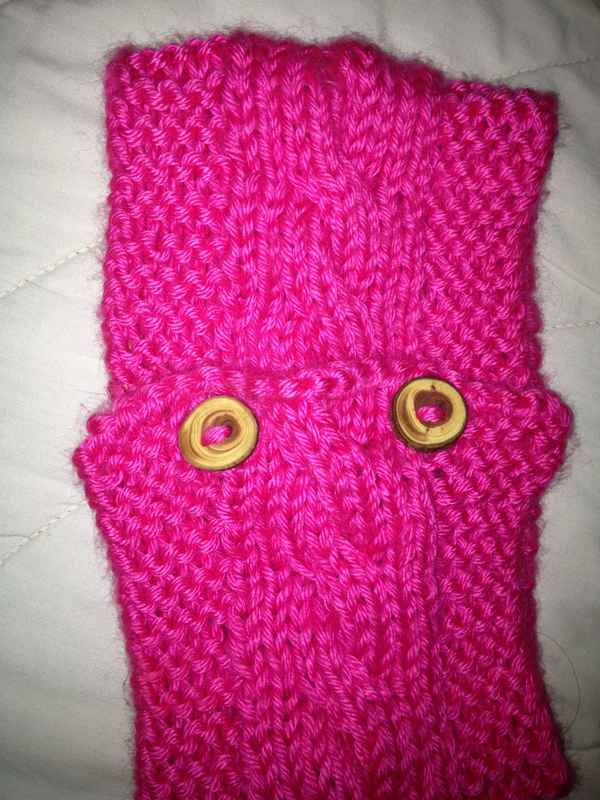 Since Maryland Sheep and Wool, I have now made those batts and then….. 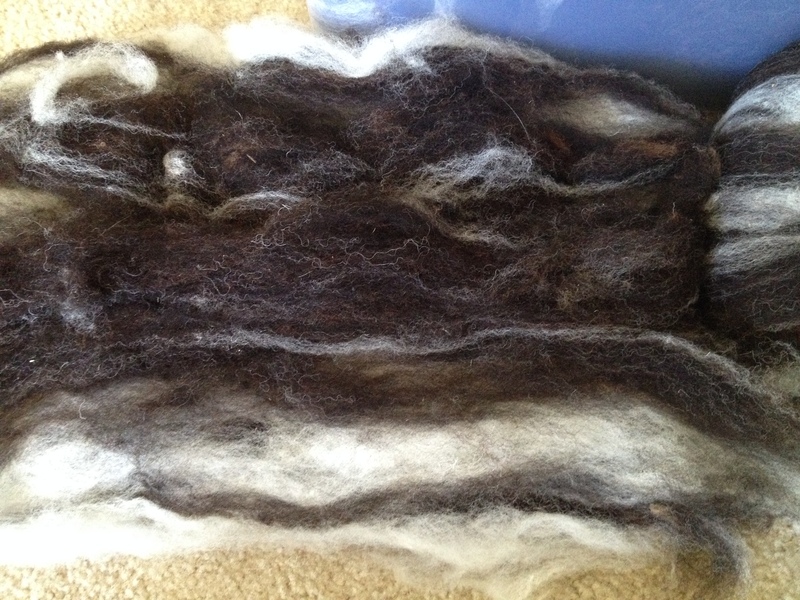 I finished processing the Jacob fleece. That’s it. 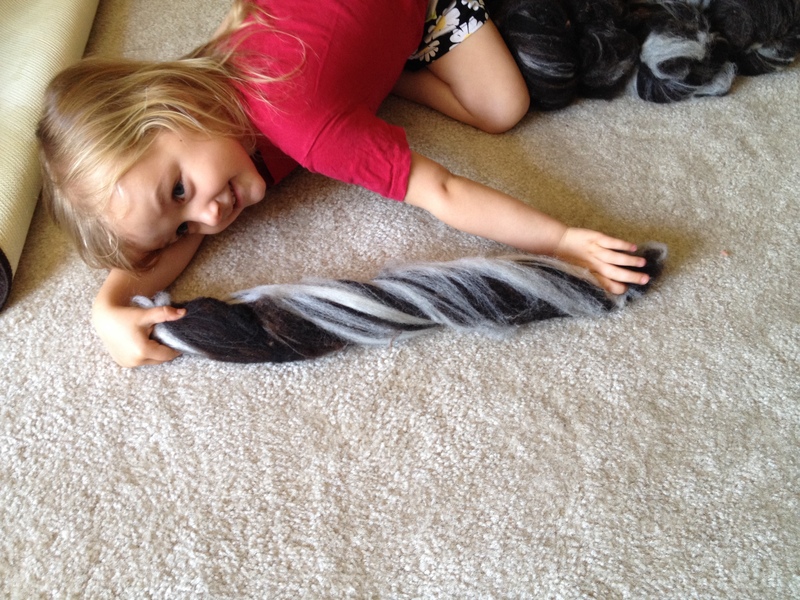 The entire fleece, all rolled into little batts of happiness and joy. 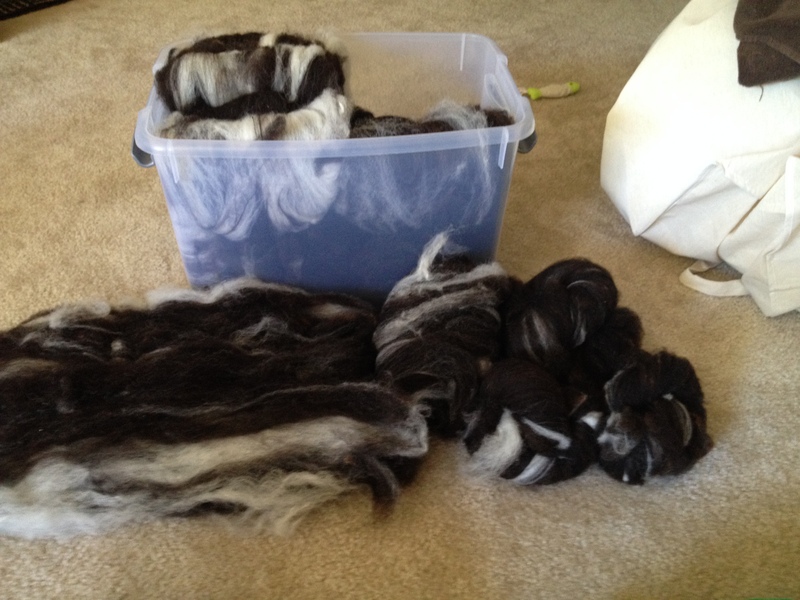 I no longer have to wonder if I will ever have the entire fleece combed and ready to be spun for Tour de Fleece 2018… No. It’s ready for THIS year’s spinning enjoyment. 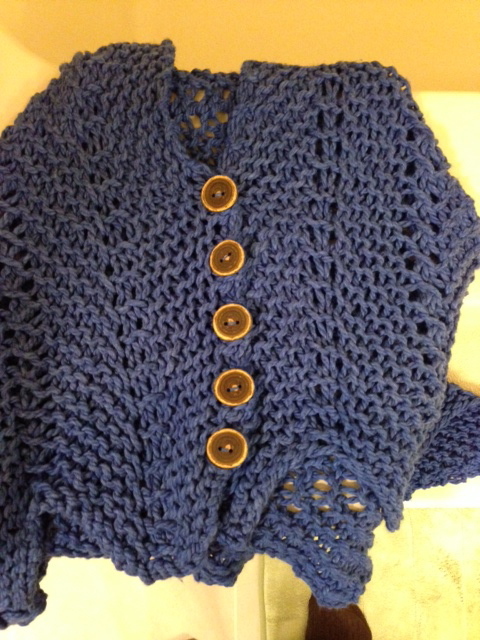 I could maybe even dream of having the sweater coat knit by the end of this year. Plus, I would much rather spin this in a true woolen-style (long-draw and carded, not combed) and three-ply it so I can have a nice aran(ish) weight yarn. 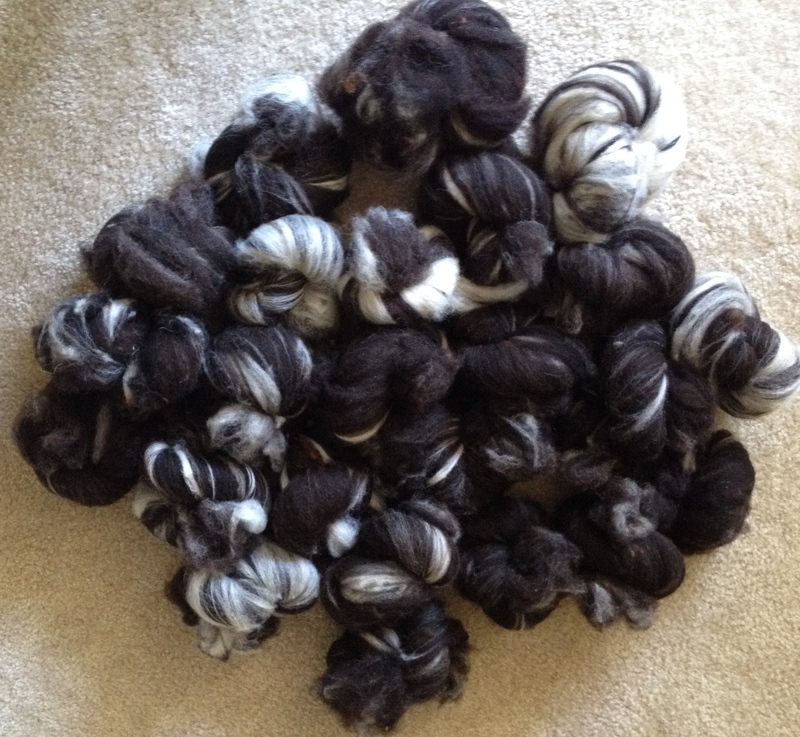 I chose to card the fleece into batts that would all have a variety of the colors of this spotted fleece. They are all mostly the dark brown with strips of gray and white. This way, it will have more of a tweedy look, instead of running the wool through the carder several times and making it a more consistent color throughout. I am incredibly anxious to start spinning it up. But I am going to be patient and finish all other spinning projects first and clean my ladybug to prepare her for the Tour de Fleece. When I will attack. 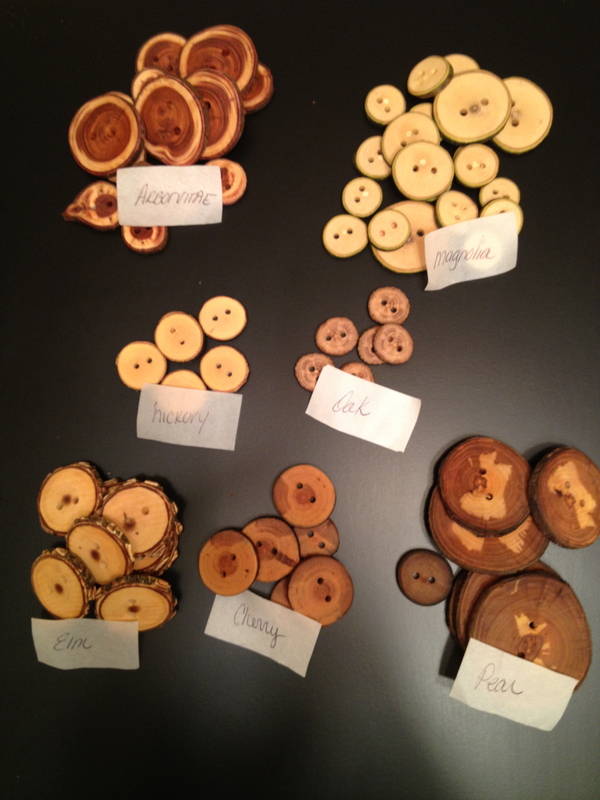 Before Christmas, I started to practically crave wooden buttons. I knew there were a few Christmas presents that would require buttons and after watching various video podcasters showing off their new beautiful wooden buttons, I had to have some! I perused Etsy for about an hour, uncertain which to choose when I decided to trust the word of one of my favorite podcasters, Amy Beth of The Fat Squirrel Speaks. I quickly went through her show notes until I found the name of the Etsy seller, Pymatuning Crafts. The Etsy store alone had me convinced. There were so many wonderful options. Plus, she had variety packs! Knowing I would have several different projects that would require buttons of varied size and color, I chose a 3-wood, 18-button variety pack (6 buttons roughly the same size in each wood type) and a 6-wood, 50-button variety pack (buttons of many sizes in each wood type). To my surprise, the shop owner, Leigh, messaged me seemingly moments after placing my order and my order shipped the very next day. In just days of ordering, my wood button craving was satisfied! Not only are her products stunning, but her customer service puts her a notch above the rest! The wood types I received were sumac, magnolia, arborvitae, hickory, cherry, oak, pear and elm. Each wood type was in its own little ziplock bag with a label so that non-wood-aficionados such as myself can forever keep them straight. 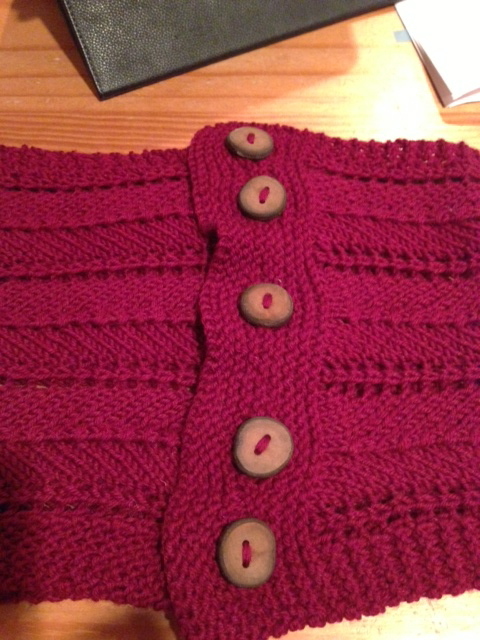 Each button has character. You can tell time was spent making each individual button something special. Both sides are sanded smooth and though, the edges maintain their natural textures, they are beveled to provide smooth functionality and provide a well-finished appearance. Top left to bottom right: Arborvitae, Magnolia, Hickory, Oak, Elm, Cherry, Pear. Sumac pictured below. So far, I have used three different types on three Christmas presents and the recipients and I have all been very pleased with the effect they give to the finished product. Though I have several left, I’m already eyeing some new buttons listed in her shop! That aged apple wood is calling to me….